Match Two for the Govs was against 16th-ranked Georgia State at 5 p.m. 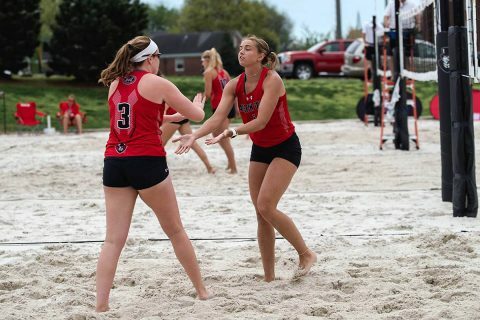 Rain started to pick up at the Govs Beach Volleyball Complex but that did not stop Moore and Koons from a battle with the Panthers in the No. 2 pairing, though they ultimately fell in two close sets to Olivia Stasevich and Georgia Johnson, 21-18, 21-19.